As retail pot stores get set to open in Ontario on Monday, the province's marijuana industry is expecting big bump from first-time buyers uneasy with online purchasing. Ontario's cannabis business is expected to see a big bump in sales thanks to people who, up to now, have avoided buying legal weed online. "I think having brick and mortar stores, it's proven to actually inflate the market quite a bit," said Nick Pateras, with Lift & Co., the Toronto company responsible for training all of Ontario's retail staff. "I think you'll see a pretty sharp spike; three to four times the monthly average pretty quickly," he said, anticipating the first-time buyers will begin coming out of the woodwork. "Some first-time users really need that one-on-one consultation," said Isaac Watson, VP of product development and retail experience at Fire and Flower, which plans to open two stores in Ottawa and another in Kingston next week. Watson said, if it's anything like the rest of Canada, the Ontario stores can expect hundreds of people to come out and stand in line Monday. "We'll bring them in in droves," said Watson, "and we'll take them through an educational experience together to help orient them amongst the 130 strains that we're going to have." Pateras said the main reasons many customers prefer going to the store range from needing more education on the drug's effects, to needing the tactile experience of smelling and seeing the product. Managing the effects usually requires first understanding issues like potency, especially if you haven't tried the drug in a long time. He said it's also about finding that balance between two of the drug's main components: tetrahydrocannabinol (THC) and cannabidiol (CBD). THC is sometimes called "the accelerator," which gives the high, and CBD "the brakes," as the more mellow component. Pateras said an industry slogan for the first-time user is "start low, go slow," when it comes to choosing the right product in the beginning — suggesting a good balance between the two at first. A number of potential buyers have likely also been waiting for the stores to open because they're uncomfortable using their credit card for online purchases. "A lot of people don't want to hand over their credit card and have the purchase traced back to them," explained Pateras, "so they're looking to go into a store and using cash." 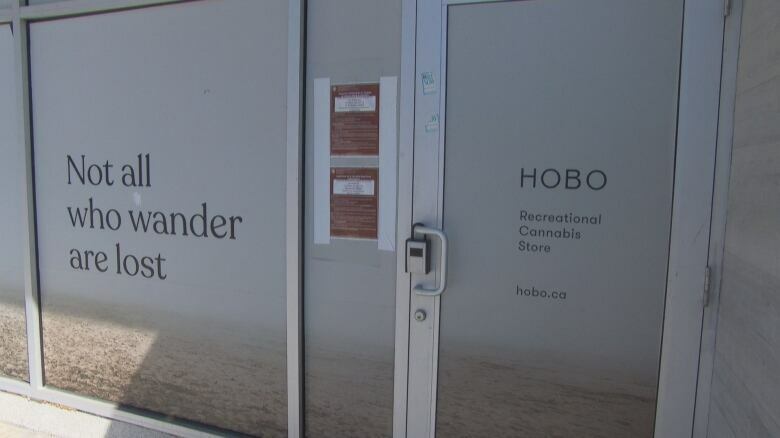 The federal government has issued an advisory that warns "previous use of cannabis, or any substance prohibited by U.S. federal laws, could mean that you are denied entry to the U.S."
A previous version of this store misidentified the company name of retailer Fire and Flower.